A construction pro tackles a job close to his heart: the renovation of the home his parents bought decades ago in Southie. 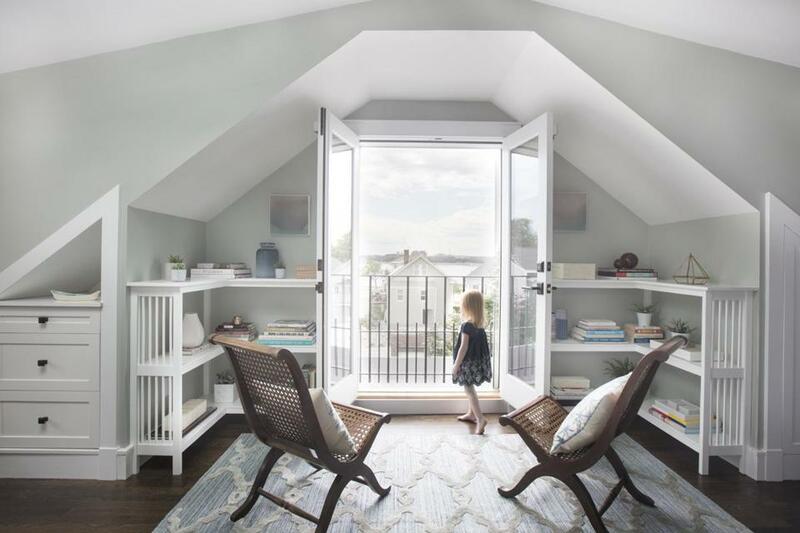 Jim Burke designed a sitting area off the master suite with a Juliet balcony that offers lovely views of Dorchester Bay. By the time he entered high school, his family had relocated to Milton. His parents held onto the 1920s three-decker in Southie, though, renting it out from time to time. As an adult, Burke lived in the Washington, D.C., area before returning to Boston more than a decade ago. He and business partner Randy Milburn own Cambridgeport Construction, which specializes in high-end historical restorations and renovations. “I started renting the house in Southie from my parents,” says Burke. His wife, Emily, moved in when they married five years ago. After their daughters, Georgia, 3, and Mairead, 1, were born, the couple decided they were settled in—they live on the upper two floors and rent out the first level—for the long haul. On the second floor, an updated kitchen and a more modern layout were essential. 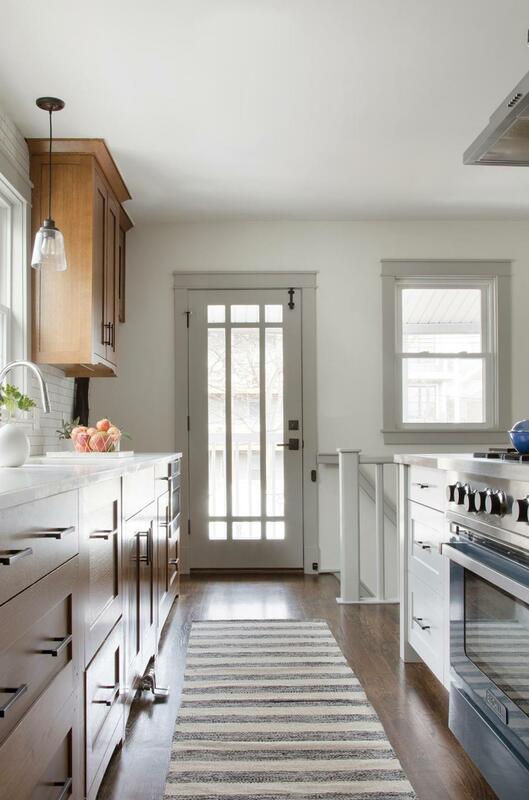 They found their solution in custom Mission-style cabinets made by Salmon Falls Woodworks and a striking walnut-topped island. Lexington homeowners call in a professional and give her free rein to create a bold new aesthetic. Read: Was there hope for this shabby beach house? On the third floor, significant structural work — completed by Burke’s own company, of course — was needed to accommodate a master suite, two more bedrooms, and a bathroom. Richard Levey of RBL Architects in Newton drafted the plans. “Since we couldn’t go outside of the existing footprint, the only way to expand was to make the cramped third floor larger,” says Burke. By removing the obsolete chimney and rebuilding the roof, they were able to install full-length dormers on both sides, essentially doubling the usable square footage of the third floor. Though they wanted to make the house their own, the couple didn’t want to go too far. “There was a lot of reluctance on my part to redo what my dad had done to the house because he had put so much of himself into it,” says Burke. Several elements the senior Burke had installed remain, including the built-in shelves and cabinets he crafted in the living room. “We just painted the oak white to make it look more up-to-date,” says Burke, who added his own handcrafted elements to the house as well. 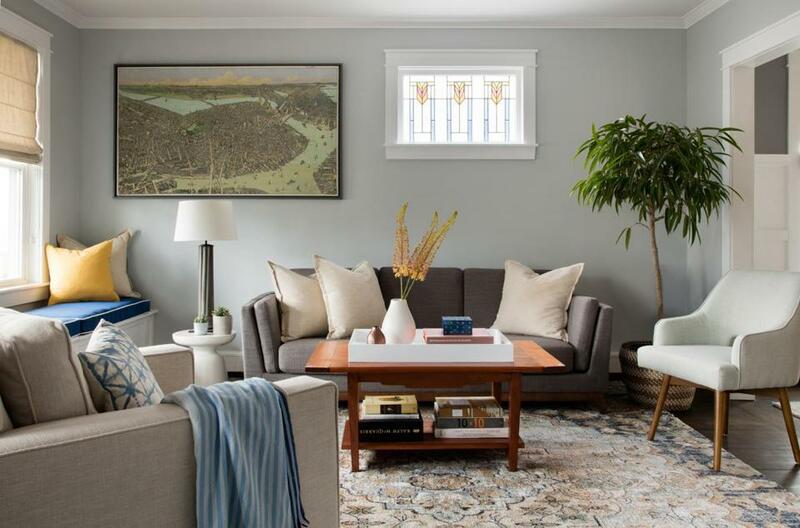 “While Cambridgeport did the renovation, I built certain things for the house after hours,” including the walnut dining table and the built-in window seat and coffee table in the living room. Uniting Jim and Emily’s tastes took some thought, too. Interior designer Sarah Scales helped with that. 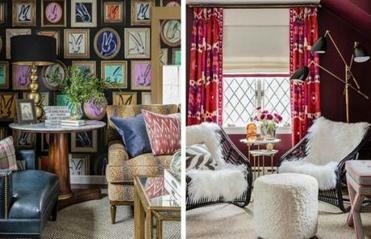 “Jim is very into Mission and Arts and Crafts-style elements, while Emily veers toward more beachy, soft, and serene things,” says Scales. Arts and Crafts style wins out in the dining room wainscoting and the handmade coffee table. 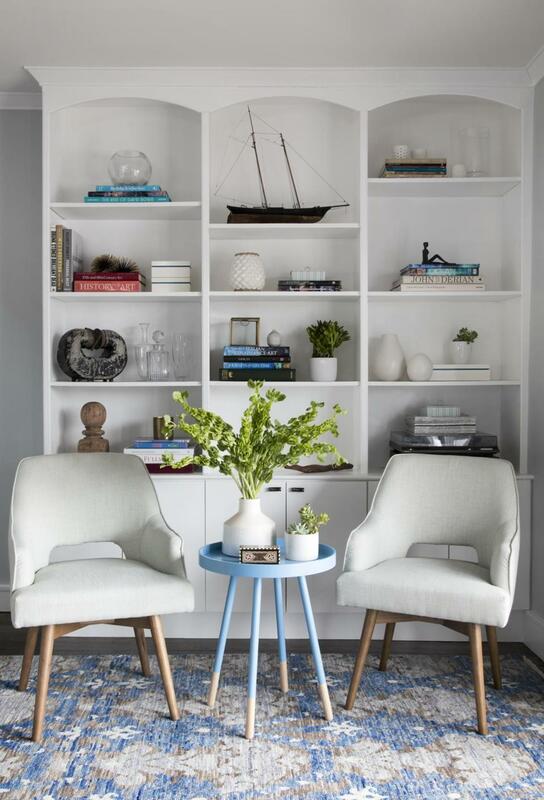 The color palette centers on calming gray, blue, and white tones that Emily favors. In some cases, Scales found furnishings that satisfy both spouses, such as the West Elm capiz light fixture in the dining room. “Since it’s made of shells, it has a beachy, more contemporary feel while also feeling connected to the leaded-glass elements often associated with Arts and Crafts style,” Scales says. 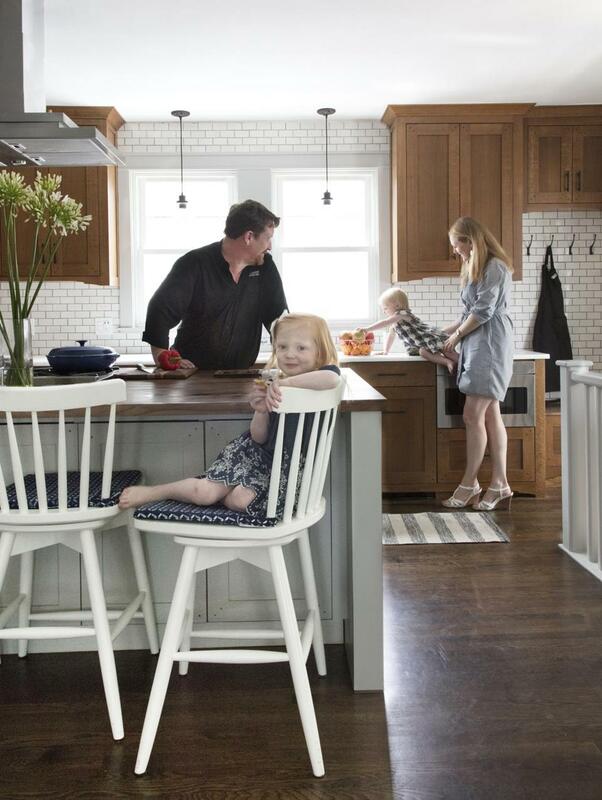 Jim, Georgia, Mairead, and Emily Burke in their updated kitchen. The Mission-style cabinets are fumed oak; the island top is walnut. Counters are “white rhino” quartzite. The backsplash is made of Heath Ceramics tiles, “in a combination of matte and glossy finishes,” says interior designer Sarah Scales. The new white oak kitchen floor, stained Jacobean, matches the original flooring throughout most of the second level. Jim had an 1899 hand-drawn map of Boston printed on canvas, then made the frame. The sofa is from Article. Several 1920s houses on the street have original stained-glass windows. In the living room, oak shelves Jim’s father built in the 1980s feel modern thanks to a coat of white paint. Chairs are by West Elm. 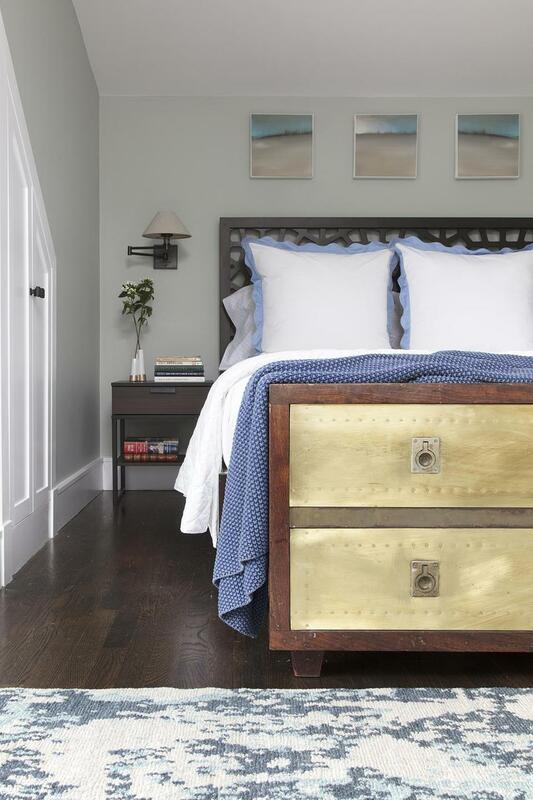 For the master bedroom, Scales chose a West Elm “Morocco” headboard in chocolate. Swing-arm sconces with linen shades are from Restoration Hardware. At the foot of the bed is Jim’s mother’s hope chest, made by his dad. 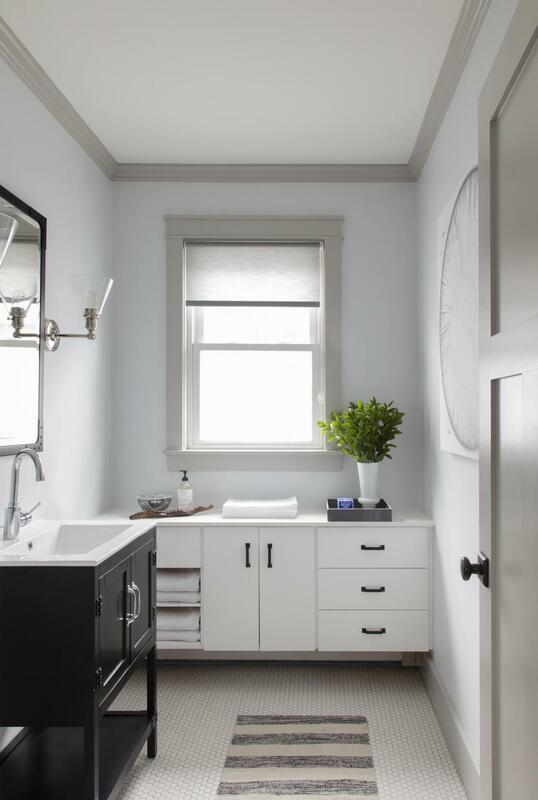 The powder room floor is white hexagonal mosaic tile. One vanity encases the sink; a second holds storage. Clear glass funnel sconces with filament bulbs are from Restoration Hardware. Was there hope for this shabby beach house? Send comments to magazine@globe.com. Follow us on Twitter @BostonGlobeMag.